The name "Surti locho" originates from the Surat. Surat is commonly known as capital city of Indian state of Gujarat. 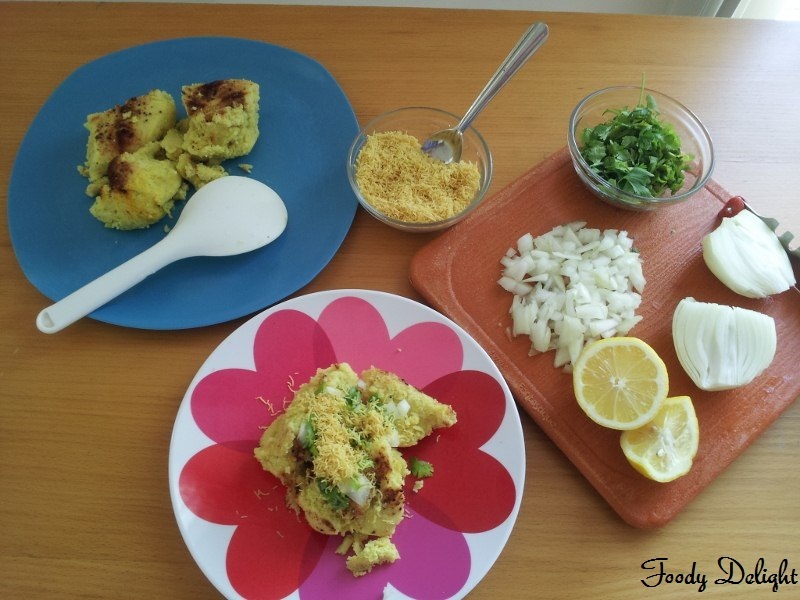 Surti Locho is the famous street food of gujarat,can be enjoyed anytime. Soak chana dal and urad dal separately for about 6 to 7 hours. Soak the beaten rice 10 minutes before the grinding process starts. Grind the dals along with soaked beaten rice to the smooth thick batter. To the batter add green chilly paste,ginger paste,tumeric powder and salt. Do not allow the batter to ferment. Add eno fruit salt just before steaming. Pour the batter into the greased plate and add crushed black pepper and paprika. Steam it for about 18 to 20 minutes or till done. 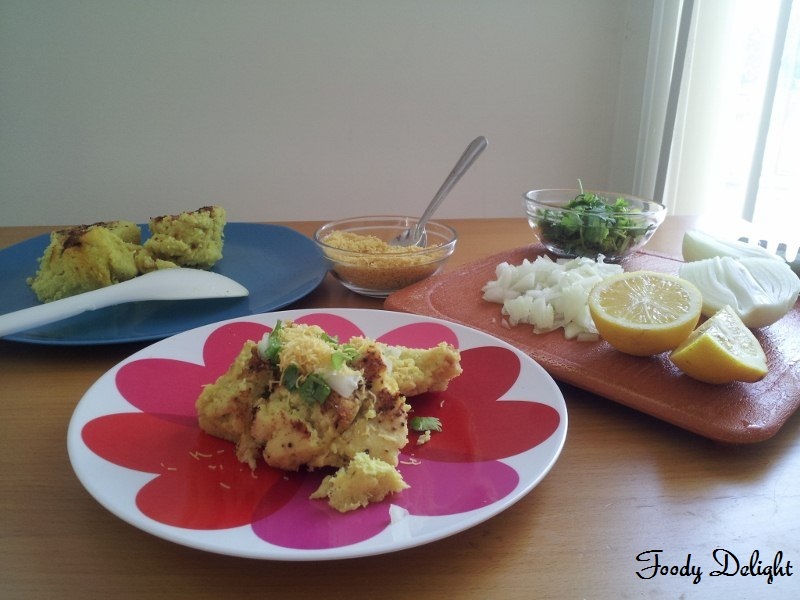 You can check the locho by inserting knife,if knife comes out clean that means Locho is done. For steaming I used pressure cooker. Surti locho can be served by adding chopped onion,cilantro,lemonjuice and finally fine sev. Surti locho is always served hot. Thank you so much Maha.. Yes, your right Rasi.. 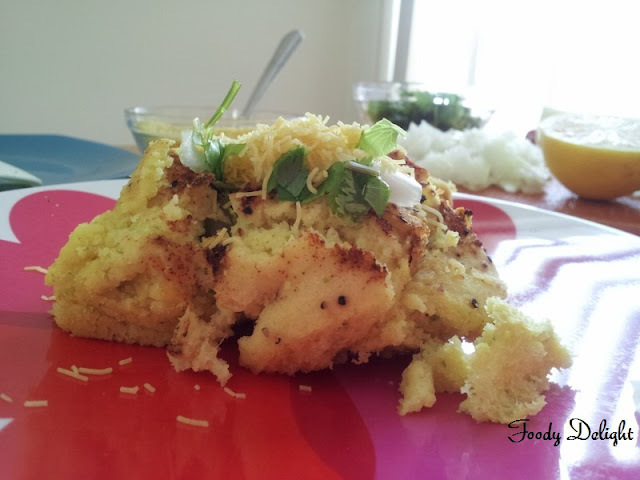 This recipe is similar to dhokla made by surti people. Looks very tempting n delicious .. 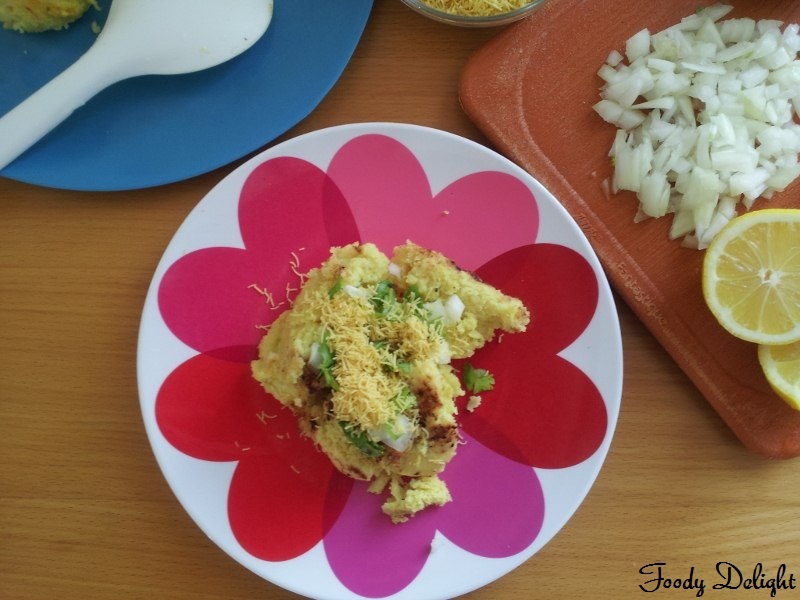 I love dhoklas n this sounds a similar version,will try sometime!! Thanx for dropping by my space n happy that u joined..